There is an organization that I have wanted to introduce people to for a while. It is a game changer, provided it can be applied more and baked into operations and various technologies. 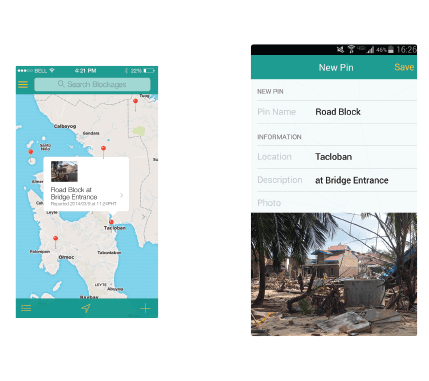 In disaster operations, the Internet is the predominate way to share data and information across people, organizations, and geographies--when it is available. It is a critical failure point to inter-organizational and region-wide operations that need to share across wireless networks. When access to the Internet is compromised, cascading effects occur such as having to reconcile what the latest data and information is. In fact, data and information sharing is often reduced to files on USB sticks that are physically traded. Version control becomes essential, but hard to maintain. LDLN (pronounced "landline") is a robust open source mesh network that goes beyond network reliability issues for connecting to the Internet. LDLN combines the best of sync technology to enable data and information sharing with or without Internet across networks, organizations and geographic areas. Most importantly, this is all done without duplicating content or complicating reconciliation efforts. Simply said, it is designed to just work without the need for constant management and oversight. Pretty cool, huh? Normally, I would limit conversation of this type of technology to the techies among us who work to maintain network operations. But I believe everyone should be aware of its existence and capabilities to inform strategic and operational thinking before and during disasters. There are two key components to LDLN's potential success, it's software and it's hardware. These two aspects are are discussed below in the Q&A with LDLN's founders. This technology is not a far cry from Ushahidi's BRCK, which is a small all-in-one portable router (wired and wireless), server, and multi-modal Internet connection device with a long-lasting battery back-up. However, BRCK's focus is on single-point data and information exchange while LDLN allows the carrying of data and information on any device to another access point, which then automatically shares the most current data and information with all devices connected to the new access point. BRCK and LDLN are complementary technologies that enhance each other's value proposition. LDLN could potentially be implemented on BRCK as well as any other hardware such as existing servers and routers. The hardware, though, does not need to be limited to the RaspberryPi devices mentioned below. While these possibilities are not yet in LDLN's current product, they could be a next step for them. I am glad LDLN was able to respond to my Q&A request. Check out the entire Q&A below, which includes pictures of LDLN's software. What is your name and role in the product/solution/company? LDLN is a communications system for disaster relief organizations when there is no power, internet or wireless connectivity. LDLN allows organizations currently reliant on notebooks and pencils to have a fully synced, fully backed up, reliable communications system over any size of operation theater. What/who inspired you to create LDLN? We were inspired by our team members’ experiences across the world. Chris first conceived of the idea while working with Occupy Sandy during the Hurricane Sandy response, and suggested it up as an idea at a Philippines resilience hackathon. From there the team pooled ideas and skills to create a system responders would want to, and easily be able to use in the field with minimal training. What challenge does LDLN help users overcome? When a disaster relief organization deploys to the field in 2015, they are for the most part still equipped with the same tools that were available in 1991. Every major tool and recovery method used today currently relies on two things that are, to put it mildly, in short supply: electricity and internet connectivity. In absence of connectivity, relief workers fall back to the stalwarts of pads of paper and pencils. In short, we provide the software and hardware necessary to form a modern backbone for communications and document synchronization. This resilient, decentralized, "designed-for-disasters" network does not depend on cellular technology, Internet connectivity, satellite up-links, or even an external power grid where others would. The LDLN Base Station, a tiny computer about the size of a deck of cards, combines the networking features of a traditional decentralized mesh network node with the reliability and storage capabilities of a traditional web server. Standing in stark contrast to expensive, bulky, custom-built satellite trucks and enterprise solutions, the Base Station is inexpensive, extremely portable, and consists of open hardware. Building on this network of Base Stations, mobile apps powered by LDLN's SDK afford the familiar interfaces of a modern mobile experience, using of peer-to-peer protocols to skirt the need for a centralized network. Apps and Base Stations work in harmony to push and pull pieces of encrypted data across the network, ultimately displaying information in a natural and easy-to-read format. What is next for LDLN? LDLN is very proud to be have accepted into The GovLab Academy Coaching Program at New York University for the spring of 2015. We are looking forward to engaging with thought leaders and experts in the fields of disaster relief and government action. In parallel, LDLN is currently developing our second generation of base station and mobile technology. This will allow in-the-field customization of the data collected and reported along with massive speed improvements on the base station side. How can people get in touch, learn more or test LDLN? Anyone interested can get in touch with our team through our website or social media, or via email.